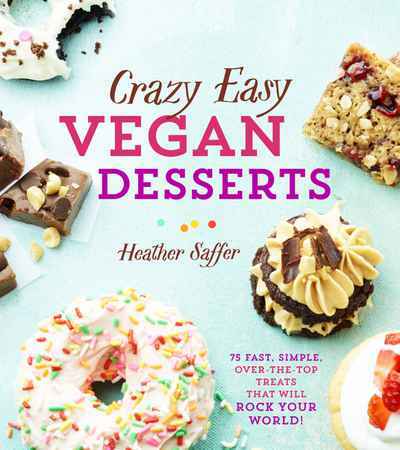 Crazy Easy Vegan Desserts: 75 Fast, Simple, Over-the-Top Treats That Will Rock Your World! Now everyone can indulge! With these 75 gluten-free vegan recipes, Heather Saffer reinvents dessert. You’ll find treats that take less than 20 minutes to prepare, ones with only three ingredients, and others that require no baking at all. The mouthwatering choices range from Triple Chocolate Dream Pie and Rocky Road Caramel Apples to Coconut Mango Cheesecake, so you’ll always have something to satisfy your sweet tooth.